Need something bigger for your showroom? 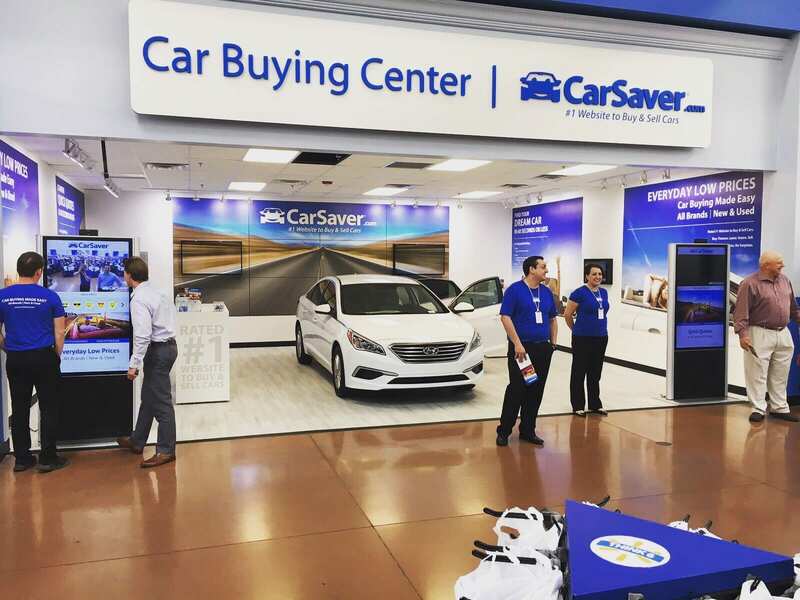 Add a large format video display, video wall or even touch screen video wall to add new interactive capabilities for customers on your showroom floor. MetroClick provides a perfect way to showcase your portfolio of products and data in real time through our large format touch screen kiosk line or wall installation. We offer a generic software for easy and efficient integration with your current web platform as well offer the ability to make the interactive experience as custom as you would like it to be. 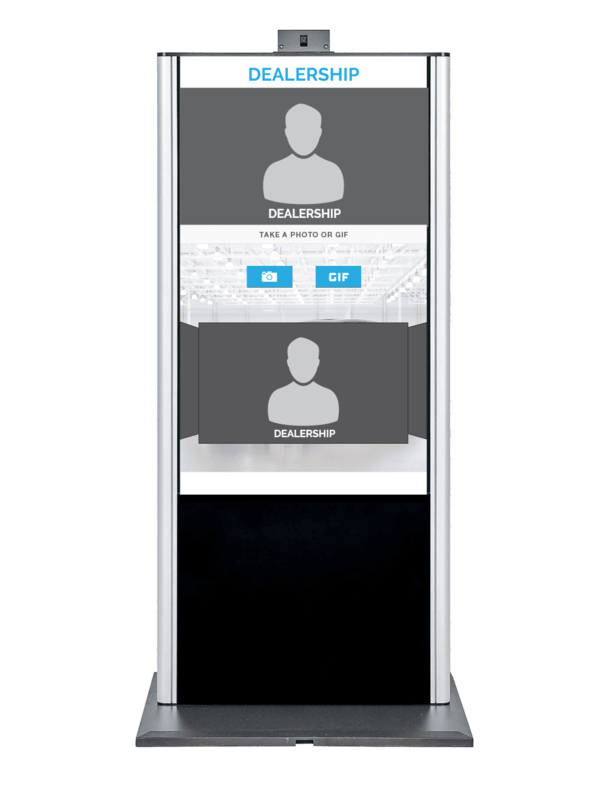 The MetroClick kiosk offers real functionality to help customers learn and engage with your brand. 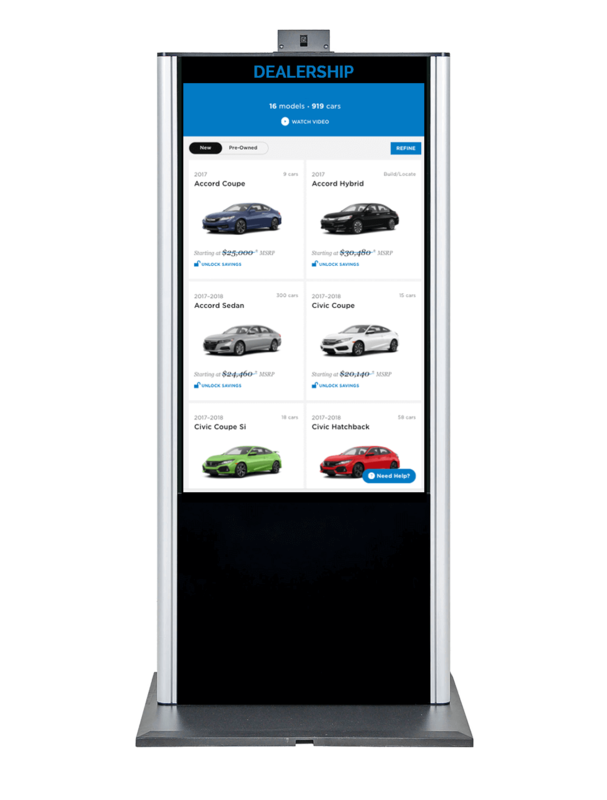 Customers can search through specs, models, features, and pricing models at ease, and build the car they want in an instant with our solutions. Contact us for more information or to find the right mix of products for your location. 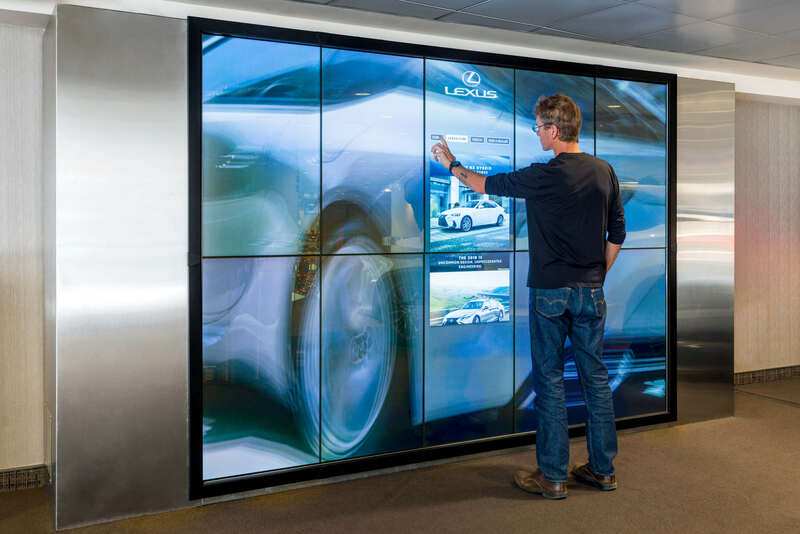 MetroClick creates the ideal interactive auto showroom display solutions to engage your customers on the showroom floor. MetroClick kiosks provide a perfect way to showcase your portfolio of products and data in real time through our large format touchscreen kiosk line. Think of the MetroClick kiosk as your personal digital assistant for every sale. We offer a generic software for easy and efficient integration with your current web platform as well offer the ability to make the interactive experience as custom as you would like it to be. Want to bring some technology into your showroom? The MetroClick kiosk does not only offer a “techy” presence, but also offers real functionality to help your guests learn and engage with your brand. For the showroom or for the service waiting room, we will bring to life the content you want to tell your clients in real time. One of the best ways of marketing in today’s environment is through social media and brand engagement. We offer our social interactive photo booth add on option with all of our touch screen kiosks. 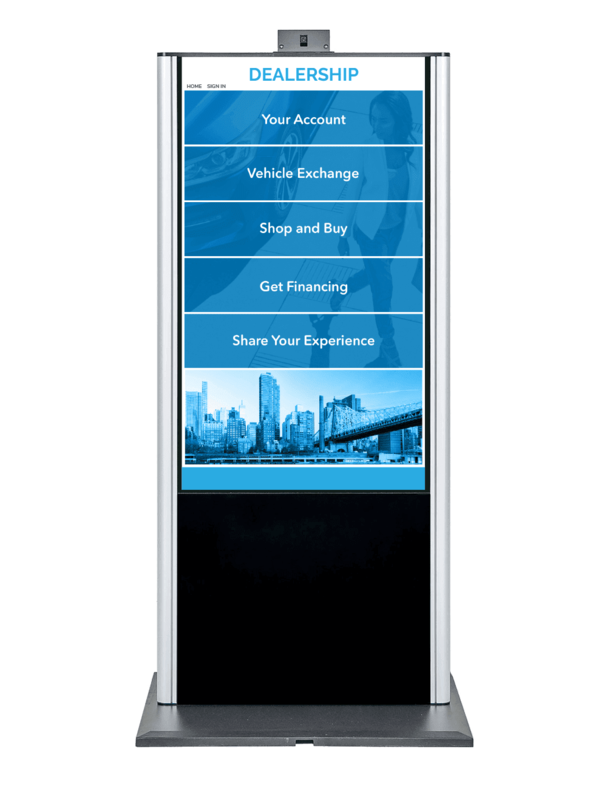 This feature will allow your clients to take selfies at your dealership and share their great experience directly on all of their favorite social media outlets. Our social photo booth also allows for GIFs, drawing and even custom emojis to make the experience on brand for any location. Our automotive industry solutions are available for rent or purchase.